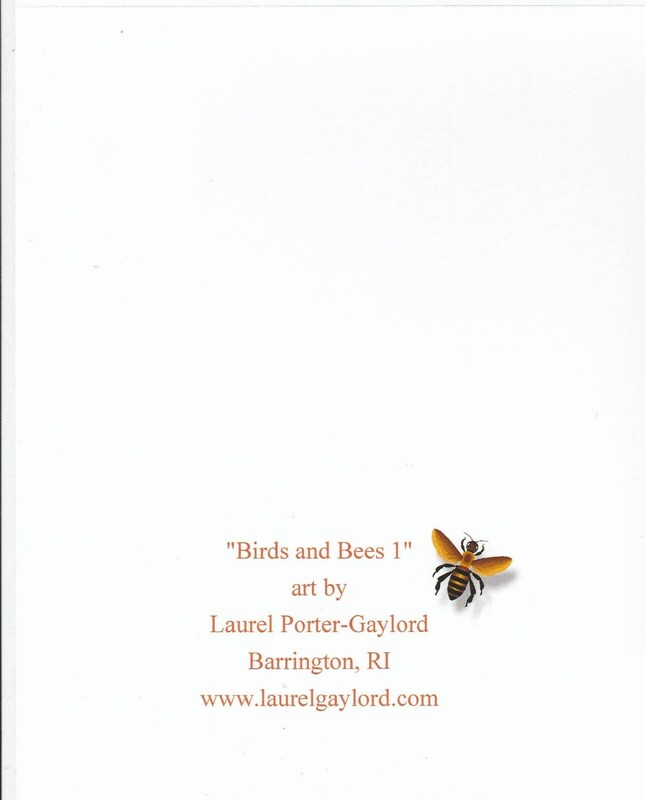 This is the third in my Birds and Bees theme. This one is acrylic on patterned paper with colored pencil detail. Each card measure approx 4" x 5" and comes with a matching envelope in a cello sleeve. 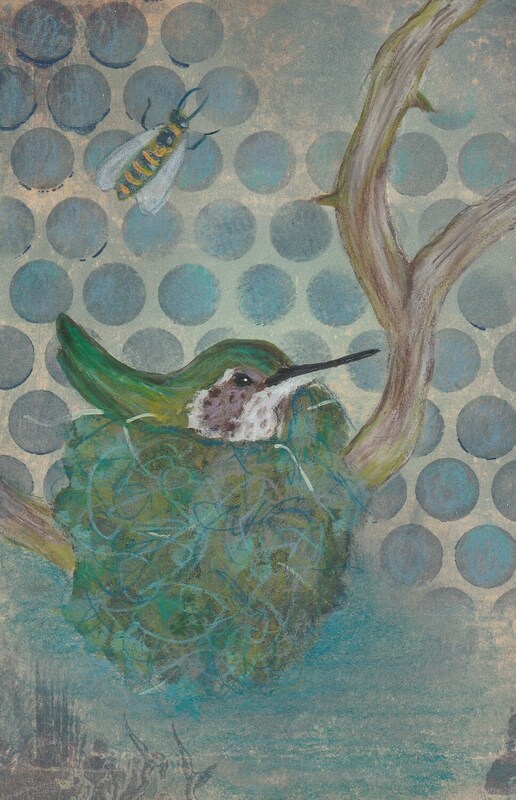 Sweet Hummingbird and Bee card. Packaged with care and arrived quickly. Thank you.